SunStone offers an expertly-managed fleet of cruise vessels available for charters to tour operators and travel companies worldwide. 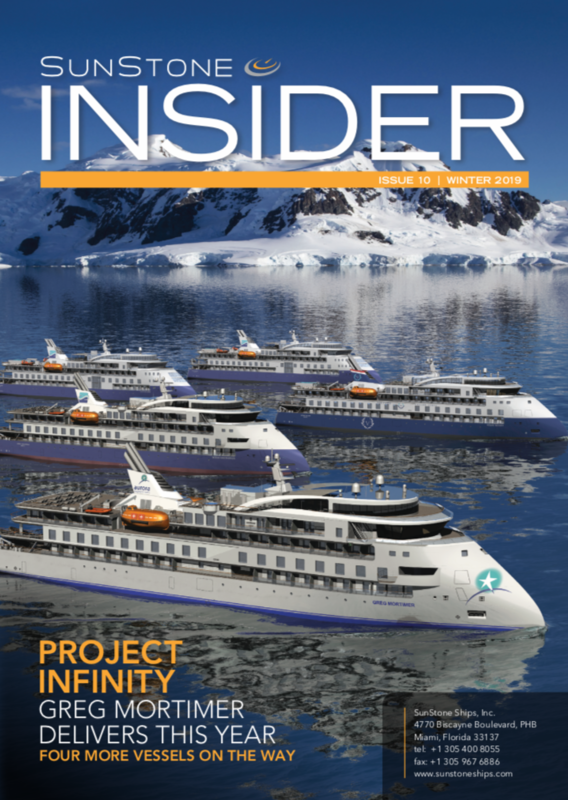 Building on decades of industry experience, SunStone is leading the way in design and development of next-generation expedition ships - our Infinity Class Vessels. Our team of experts is available to consult on fleet management, new-build projects and financial modeling for fleet owners and operators. Please contact us to start a conversation. ​All the block sections of the GREG MORTIMER have been assembled in the slip way and now the push is on to launch the vessel.